I would have had this posted before Christmas, if FA hadn't crapped out! 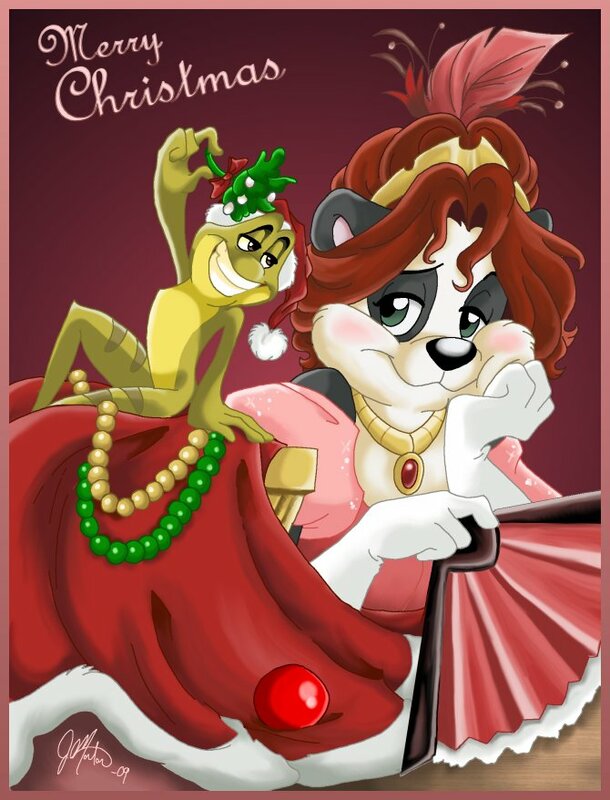 ehem So, for this year's Christmas pic, in honer of Disney's first 2D animated film in 5 years, I decided to do a "Princess and the Frog" themed image, featuring Prince Naveen attempting to trick Panda Jenn into a kiss under the mistletoe. Jenn is seen here, wearing an extravagant dress, inspired by the film.